Michelle and Colin were used to working for what they wanted – each other. After enduring a long-distance relationship, the two decided to tie the knot in iconic Pebble Beach, California. With such a stunning backdrop, this bride had her work cut out for her in terms of standing out, but Michelle passed with flying colors. With family, careers and memories spread across the U.S., it was surprisingly easy for these lovebirds to land in Pebble Beach. 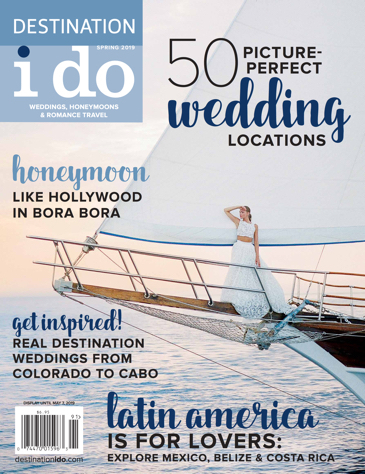 “We chose Pebble Beach because, not only does it offer one of the most stunning and dramatic settings in the entire world, it also happens to be where we shared many memories over the time of our courtship – including our first kiss,” explains the bride. Once the couple decided on their destination, their family and friends were thrilled. The couple signed on the dotted line and never looked back, making some compromises along the way. 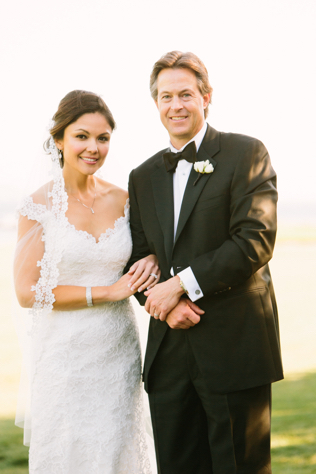 “We held our reception at the Beach & Tennis Club located at Pebble Beach Resorts,” says Michelle. 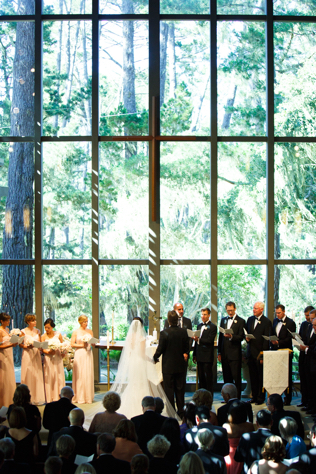 “The Club is located on the water with floor-to-ceiling windows all around the room…it was a gorgeous setting. The only issue, which did not end up really being an issue, was the number of people the spaces could accommodate. We originally had anticipated inviting around 250 people, but the Beach & Tennis Club can only accommodate about 200. 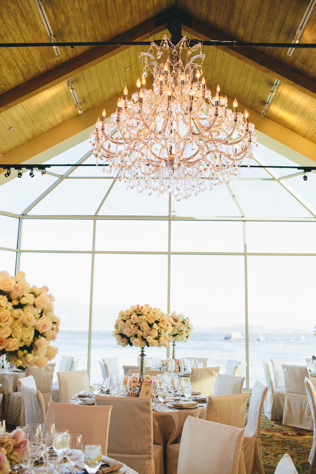 “The wedding director at Pebble Beach worked diligently to accommodate our desires and came up with several good alternative options, but in the end, we revised our list and were happy to come up with a number that could be accommodated.” The couple’s choice of venue certainly paid off and was worth narrowing down the guest list. 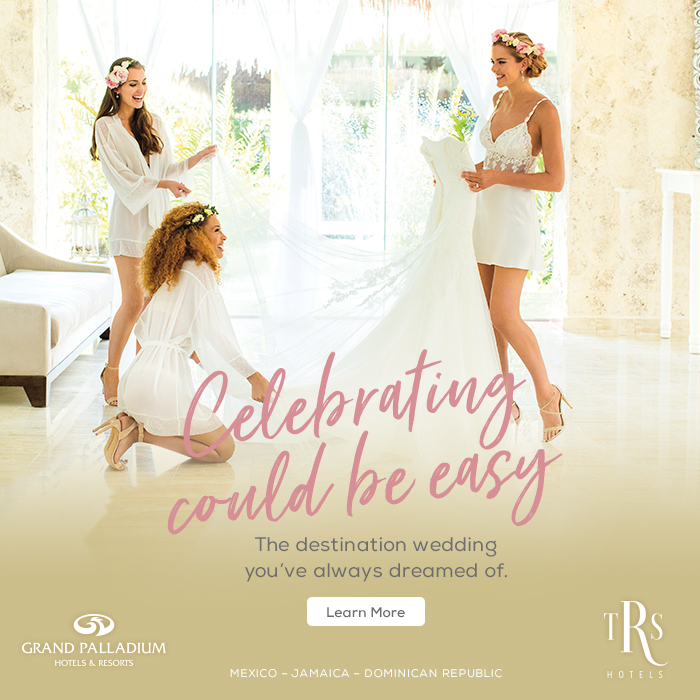 While the couple did make some compromises to make their dream nuptials at Pebble Beach Resorts happen, they have no doubts about their decisions. The proof is in the pudding and the couple’s joy is apparent in the wedding photos. While a wedding at home would have meant more guests, these two got exactly the right wedding for them.